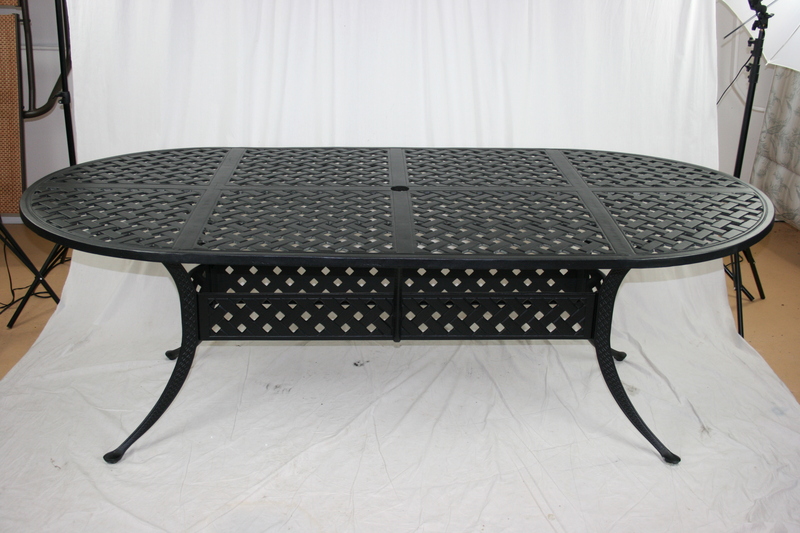 We refinish cast aluminum tables in all shapes and sizes. 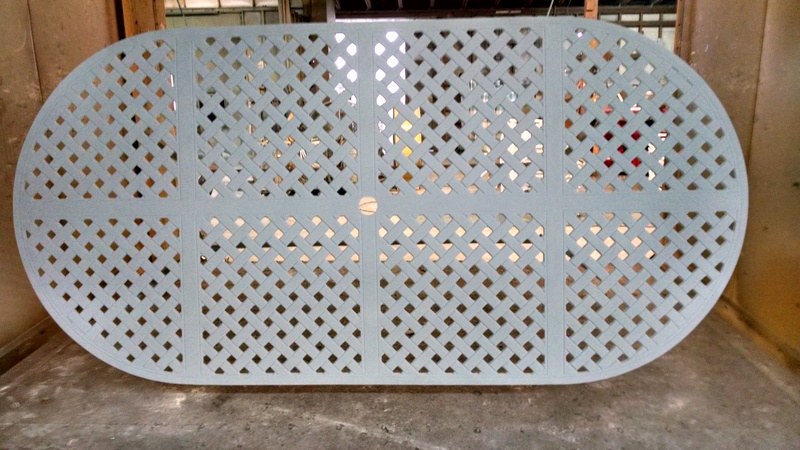 Including large banquet tables and complete cast aluminum sets. 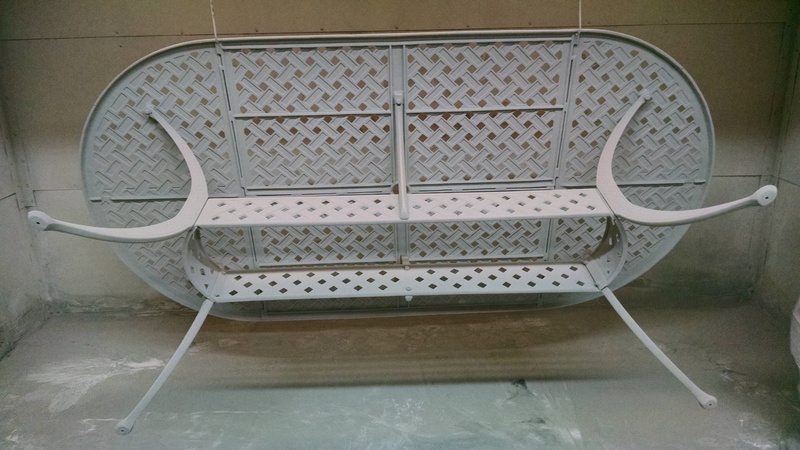 Once your cast aluminum furniture is sand blasted, a high quality primer is applied to allow maximum adhesion of our durable powder top coat.